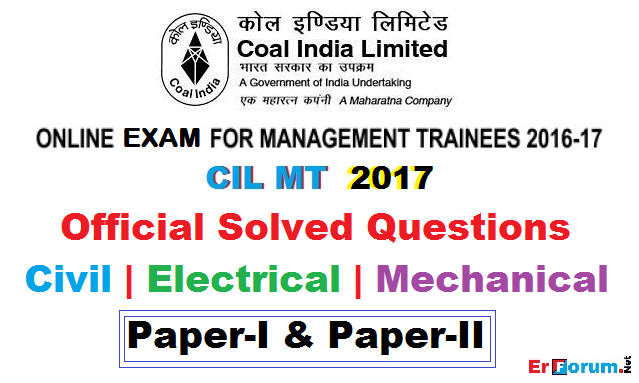 This Management Trainee Exam was conducted in 3 shifts on 26 March 2017. You can download these papers in PDF from the below links. Organizing body: Coal India Ltd. The On-line Exam was held for the duration of 3 Hours (in one sitting) consisting of two Papers. Your Like and Share motivate us to post more PSUs Exam Papers. So, Please Like & Share it.